LOL/OMG: Free Mixtape? You don't say! When Chris Strouth of Paris 1919 says something is cool, we tend to believe him. And when he makes a mixtape for our free downloading pleasure, we're first in line to check it out. 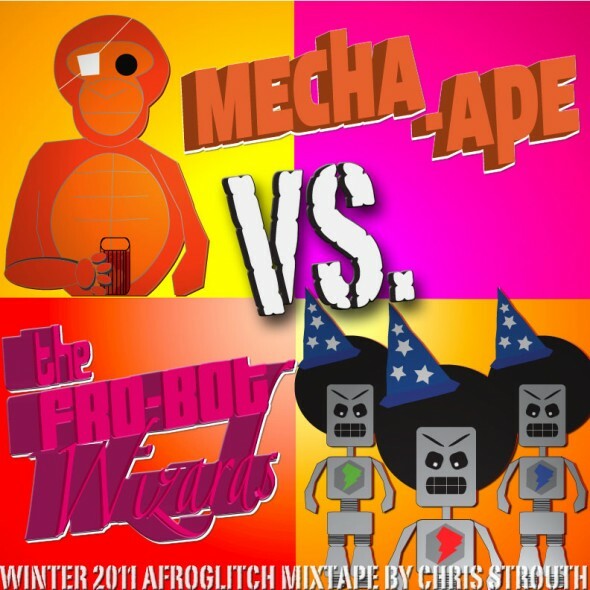 Ever the connoisseur of obscure experimental sounds, Strouth has whipped up "Mecha-Ape Vs. the Fro-bot Wizards: An Afroglitch mixtape" a strange and mesmerizing tribal remix phantasm that will definitely warm you up on a cold winter's night. Click HERE to download the mix. omg i love free mixtapes, u are my saviour!